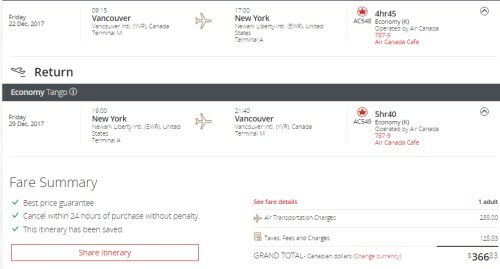 Air Canada has dropped the price of their non-stop flights from Vancouver to Newark throughout 2017 and the first few months of 2018 down to $366 CAD roundtrip including taxes. ^^ There's currently dates available around Labour Day, Thanksgiving, and even Christmas. Click on the departure date box to open up the calendar, and look for date combinations that are $367 CAD roundtrip. 2. Click on the orange 'Change' button. vancouver, yvr, flight deals, air canada, new york city, ewr, united states, north america, new york and newark. 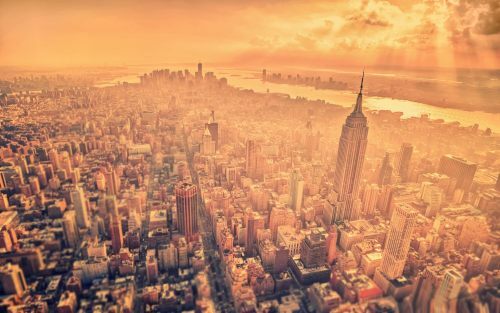 2 Responses to "Vancouver to New York City - $366 CAD roundtrip including taxes | non-stop flights, throughout 2017 & early 2018"
No problem Michael, have a great time in NYC !